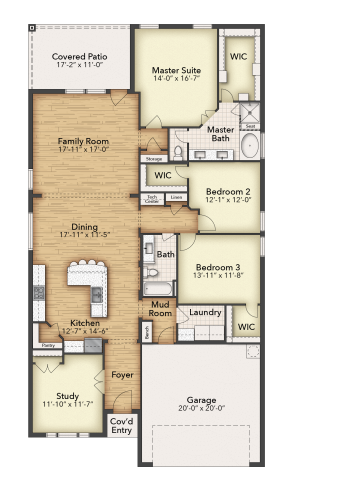 The San Saba plan offers a private study that could be used as a 4th bedroom, large secondary bedrooms with walk in closets, and a private master suite that includes an oversized master closet. This home boasts a large covered back patio so you can enjoy a private backyard entertaining area. The stone and brick front elevations offer beautiful curb appeal with gorgeous stained shutters!